This book gives developers and testers everything they need to understand software security problems and find them before software is released and the damage is done. The authors open with an overview of the root security problem and how insecure design and implementation leaves software vulnerable to exploit. Next, the authors teach readers to create custom software debugging tools that test the unique aspects of a given program and explain how to analyze the results to determine which flaws are exploitable vulnerabilities. Finally, they bring everything together in a series of detailed case studies that follow the testing process through each step. 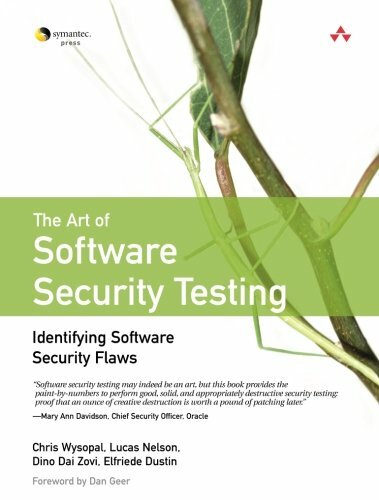 After reading The Art of Software Security Testing, anyone with testing or coding experience will be able to pick up any piece of software and find previously unknown security problems.